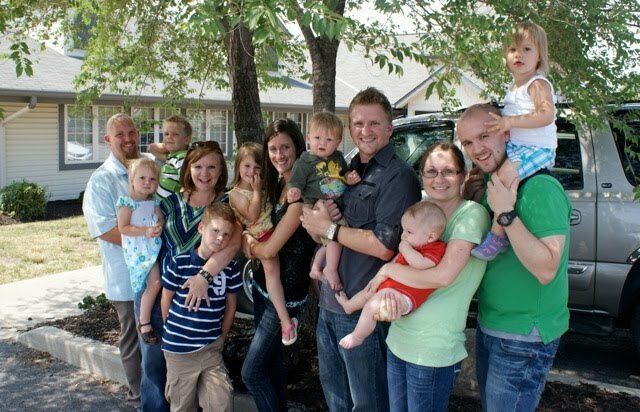 Wiese Siblings summer 2012: (L-R) Danny & Krista (Wiese '97) Caldwell & 3 kids. Matt ('00) & Sherina & Titus Wiese. Zach ('02) & Jill Wiese & kids Anna, Erynn, & Benton Wiese. Matt & Sherina are living on Long Island, NY working along side our parents (their Pastor) as Youth ministers. Zach & Jill live and work in Missouri and are active in their church.